Singapore crystallize. More info here. 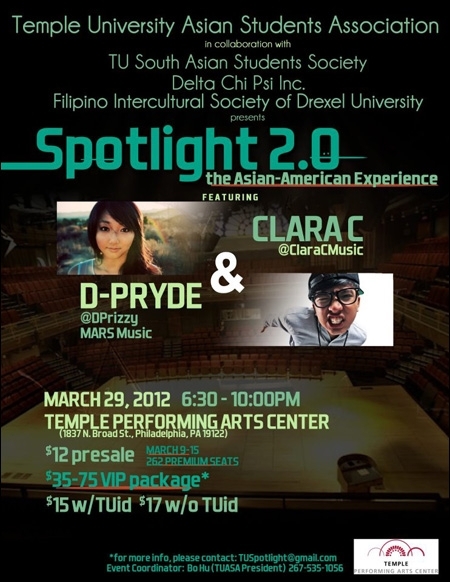 Temple University'Asian Students' Association presents Spotlight 2.0 -- a talent showcase featuring Clara C and D’Pryde. More info here. spots available. Presented by Studio Rama and OACC. More info here. National Convention. 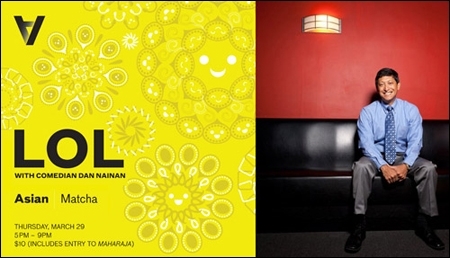 Admission includes the Maharaja exhibit and collection galleries, a "caption this comic" contest, and after-hours music provided by DJ King Most. More info here. and Rina Ayuyang. More info here. Concordia, with DJ Waxstyles. 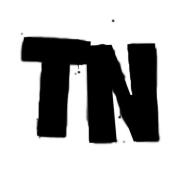 Featuring Sessions LA Youth Artists, Jenny Yang, Ninjas for Social Justice, Andrew Figueroa Chiang and more. More info here.